Asus made the Zenfone 3 Zoom official at CES last week, dropping the actual zoom mechanism with moving parts from the initial Zenfone Zoom in favor of an iPhone 7 Plus-like dual-camera solution that still manages to provide 2.3x magnification before going into digital zoom mode. Unfortunately very few details about the handset were actually shared at that event, and one of the glaring omissions was any mention of pricing for the device. 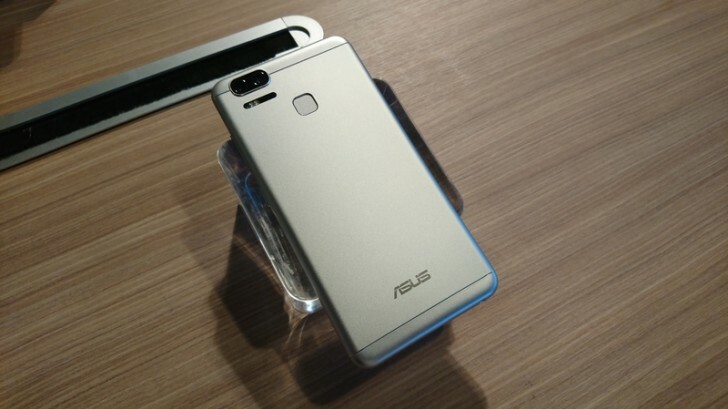 Thankfully though, at today's introduction of the Pegasus 3S in Taiwan the company revealed some more info on the Zenfone 3 Zoom as well. While we already knew it was going to become available next month, now we also get an idea of what you'll need to pay for it. Over in China, the top of the line model with 128GB of built-in storage will be priced at CNY 3,699, which right now means $533 or €504. Obviously the 32 and 64GB models will be cheaper, but exactly how much those will cost is still a mystery. Keep in mind that prices in North America and Europe are usually higher than in China so perhaps you shouldn't expect to buy an unlocked Zenfone 3 Zoom 128GB stateside for just over $500. Hopefully Asus will be more forthcoming with pricing details for markets other than China by the time the phone is released. Yes it is the non-mechanical zoom feature alone doesn't justify the price, if it had flagship specs then you can say otherwise. If you're a real fan of photography then you're better off getting a real digital camera. Yup they sure do, you'd have to be blind or jingoistic to believe otherwise.